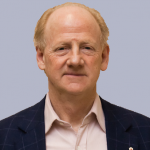 John Ralston Saul is an award-winning essayist and novelist. A long-time champion of freedom of expression, he was elected President of PEN International in October 2009 until October 2015. Saul has had a growing impact on political and economic thought in many countries. Declared a “prophet” by TIME magazine, he is included in the prestigious Utne Reader’s list of the world’s 100 leading thinkers and visionaries. His 14 works have been translated into 27 languages in 36 countries. Saul’s most recent essay is The Comeback published in October 2014 and translated into French by Daniel Poliquin in 2015 under the title Le Grand Retour. He has received many national and international awards for his writing, including: the Pablo Neruda Medal, South Korea’s Manhae Grand Prize for Literature and The Gutenberg Galaxy Award for Literature. The Unconscious Civilization won Canada’s Governor General’s Literary Award for Non-Fiction, as well as the Gordon Montador Award for Best Canadian Book on Social Issues. His Reflections of a Siamese Twin was chosen by Maclean’s magazine as one of the ten best non-fiction books of the twentieth century. His novel, The Paradise Eater, won Italy’s Premio Lettarario Internazionale. In 2015 he was awarded the World Prize of Humanism by the Ohrid Academy of Humanism in Macedonia. He is a Companion of the Order of Canada, the Order of Ontario and a Chevalier in the Ordre des Arts et des Lettres of France. His 19 honourary degrees range from McGill University and l’Université du Québec (UQAM), both in Montréal, to Herzen State Pedagogical University in St. Petersburg, Russia.